The Net Stroller by, Inglesina is hands down the easiest, sleekest stroller I have ever owned! I’m seriously in love with this stroller! I was so impressed with how fast I was able to open and collapse it without reading any instructions first! Did I mention that it fit’s nicely in a small trunk space and the shoulder strap is so convenient! Quick, collapse for them on the go moments when you’re using public transportation! The stylish sleek design of this stroller is modern, elegant and the canopy provides an UPF 50+ protection from ultra violet rays. The total weight of this stroller is an amazing 11.2 lbs, now that is a huge difference from them bulky strollers that take forever to open and close! Not to mention how much room it they take up in the trunk! The base of the seat cover is made entirely of mesh, in order to provide air circulation even in the warmest months. The Net’s wide seat and 2-position recline allowing your little passenger to take a pleasant nap. Easy to clean, the seat pad is removable and washable. 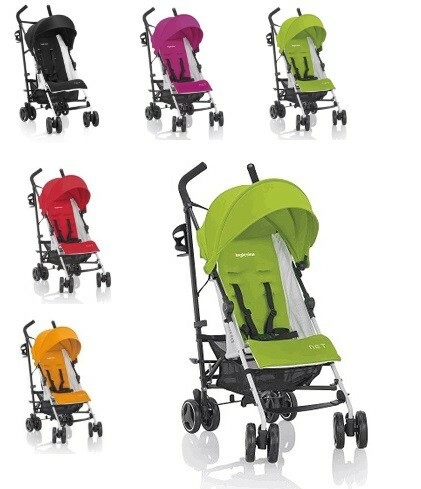 The Net Stroller by, Inglesina is a design that truly represents the companies mission statement. Clearly portraying; honor, integrity, and attention to modern elegance, featuring the sleek design. Innovation at it’s best! The Smart Play Yard Mattress Topper turns nights into Baby Sleep Heaven!